Hi, I would appreciate if you can evaluate my profile and offer some advice on how I can improve my chances of being admitted by one of the top MBA schools. I m Gem, a 27 years old Chinese female working in Hong Kong. I m working as a senior associate in the equity capital markets department in a boutique investment bank. I have almost three years of experience in investment banking, in which two of those years I was working as a corporate finance analyst involved mainly in executions of initial public offerings deals. After staying two years in that firm, and having experienced burnouts from pulling many all-nighters, I switched to a new field in investment banking, with less long hours and more client facing opportunities. I have also been given a better title as well as pay in the current job. My background is a bit unusual. My major was psychology for my Bachelor degree in a non-Ivy-league US state school. My GPA was good though, scoring 3.85. My first job was an institutional sales in a European research house, servicing mainly buyside investors. Through networking, I met my second employee who hired me as an analyst in their corporate finance department and trained me from ground up. I have not taken GMAT yet - understood I might need to get at least 700 to be eligible to apply for top school given my weaker academic qualifications. I m working towards getting minimum 750. Hopefully I can do it. My spoken English is fluent, as well as my native Cantonese and Mandarin. However, having attempted several GMAT verbal questions, I found that I still need more work to blush up my English, especially grammar. My Quant is okay so far, getting on average 80/100 from the practice tests/ exercises. As for recommendation letters, a few bosses and clients who are alumni of top business schools are willing to help me with that; I hope that would greatly improve my chances. Many people do MBA in the hope of getting into investment banking, as their original field is probably not related to finance. My question is, while I m already in investment banking, should I still pursue an MBA? My ultimate goal is to get into private equity and seems my resume is not as impressive as other candidates who already have a degree from top schools. Would a top MBA degree help me land my dream job in PE? And would my weak academic background proved me to be less competitive than those who were graduated from say Yale/ Harvard for their bachelor degree? Thanks for sharing your story and background. Good luck on the GMAT; yes that will be important and you'd ideally want to be close to or above the average at given schools you are looking at. Your grades look strong and while sure having an Ivy League undergrad or major in Econ or similar would be additional pluses, schools do admit people from a variety of undergrad institutions and plus that is not something you can change at this point right (whereas you can still impact your GMAT and essays for example). 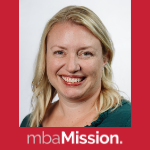 In terms of 'should I do the MBA' that is a huge and personal decisions, and I encourage you to speak with a variety of MBA grads doing things you'd ideally like to do... in my experience most do tend to be glad they did the MBA! And it can certainly open many doors at various points in your life and allow you entry to various areas. There is the chance it could help you get into PE, sure. There are always a lot of variables. See how the GMAT plays out but I think you could look at some schools in the top 10 or so sure thing. Good luck!